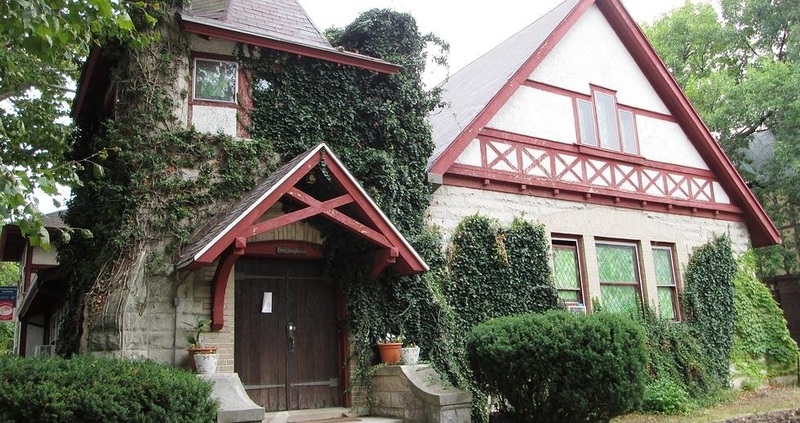 Dr. Neepa Majumdar, Department of English & Film Studies, University ofPittsburgh, will deliver the keynote address. Please see the attached FLYER for full details of the program. Organizers of the Tagore Festival express their gratitude to National Film Development Corporation, India, for the permission to screen Ghare Baire (Dir. Satyajit Ray). 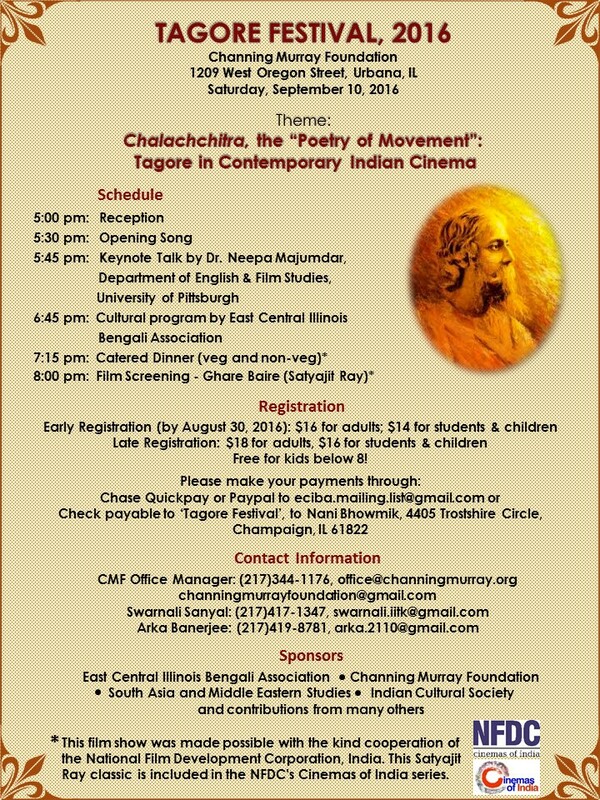 The evening will also feature an innovative presentation of Tagore’s dance drama Chandalika, by community and campus members of the East Central Illinois Bengali Association. 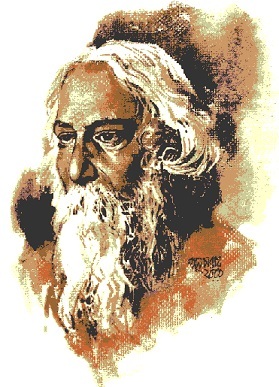 The Festival, observed every year in honor of Rabindranath Tagore (1861-1941)– poet, dramatist, musician, philosopher, and humanist, who became the first non-European to receive the Nobel prize for literature in 1913 –commemorates the Nobel Laureate’s visit to the UIUC campus in 1912 when he delivered a series lectures at the Channing Murray Chapel.Tagore’s creative genius has been celebrated here over the years with novel presentations of music, art, poetry, prose and his overall philosophy. 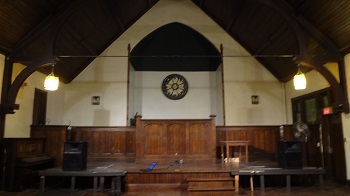 The Tagore Festival presents a unique, cross-cultural forum within which the Champaign-Urbana community explores not merely this rich heritage but the prophetic quality of Tagore’s work, which frequently lauded the connectedness of a global culture.